Slack has moved to make your chats more secure with the launch of a new security management tool. 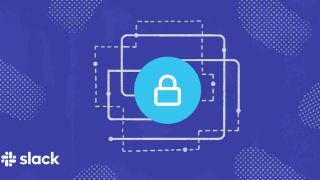 The company has announced the launch of Enterprise Key Management (EKM) for Slack, which will give an added layer of protection and allow businesses admins full control and oversight on their platform. First shown off last year, EKM will customers control over the encryption keys used to encrypt the files and messages within their Slack workspace - essentially providing the security controls of an on-premise service but with the benefits of a cloud tool. The new service looks to target security-conscious verticals such as financial services, government and health care, and Slack says the security benefits of EKM are three-fold. Firstly, it can provide admins with detailed logs of all the messages and files that are decrypted, offering greater visibility into how your data is being used. The tool can also offer greater control for admins, who now have the ability to revoke key access to specific messages, channels or users, which the company says will allow teams to continue working in Slack while access to specific information is removed or changed. Lastly, further security is offered by EKM allowing all your content, including messages, files and comments will be encrypted using your keys (which are all managed in Amazon's AWS KMS) thereby restricting access to your data to only those you authorise and no one else. EKM is available from today, and can be purchased as an add-on to Slack Enterprise Grid.